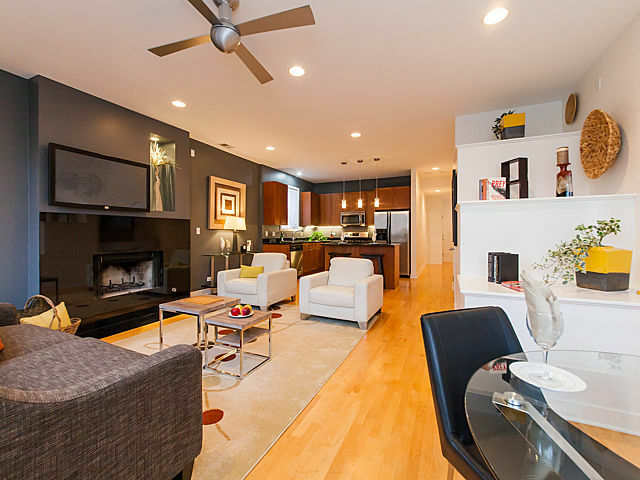 My new East Village / Wicker Park 2 bed 2 bath Condo at 1050 N. Hermitage Unit 2 is Beautiful! It includes a garage spot and was just listed yesterday for $399K. Given that it’s just 1 block to the best section of Division Street, its listed at a fair price, and its gorgeous, it’s not surprising I have 7 showings scheduled for my Open House. Come checkout this amazing Condo at my Open House this Saturday from 12 to 2PM. On advice from me, the seller agreed to have all the oak trims painted white. He already had contemporary paint colors and really nice modern kitchen sconces, so the Natural oak trims were really dating the place unnecessarily. I know some people like the natural Oak, but I’ve learned that there are 5 buyers that hate the natural Oak for every 1 buyer that likes it. So I specifically asked the Stager to go more contemporary and he staged the pic below. I did not feel this Stagig was contemporary or was giving me the “Pop” I wanted. To his credit, when I complained the Stager busted into action and he changed out ALL the furniture to what was pictured below the following day- I am a big client for him. As you can see there is a tremendous difference between the two living rooms. Which living room will sell better in your opinion? 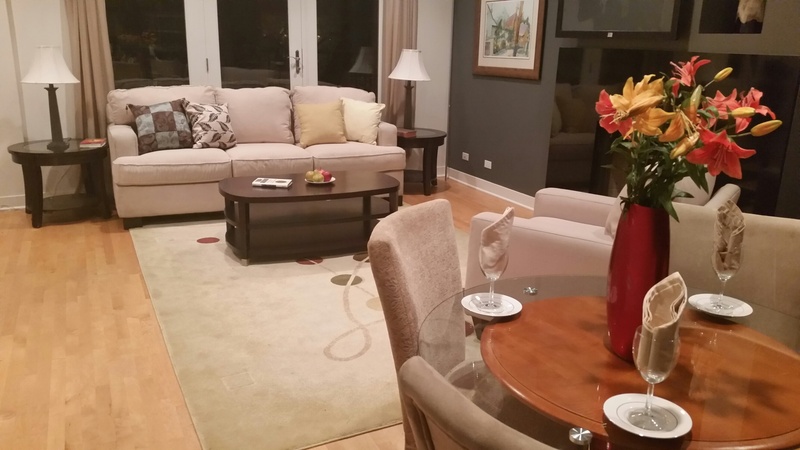 It’s important to match the staging style to the expected buyer. A good listing agent is a Project Manager coordinating pre-inspection, preparation to sell items like painting trims, staging, & professional cleaning like I did for this listing. Come to my Open House this Saturday! Hire Greg Nagel of Ask Nagel Realty to help you get top dollar if your seller or to find your dream home if your a buyer. Wow! What a Stat! $14 Billion! Compare These 2 Props & Note They Are Identical, EXCEPT Our Buyer Paid Less!